It’s been awhile since I last posted – sorry, life sometimes gets in the way. But, I’m going to post several items that have been keeping me busy. 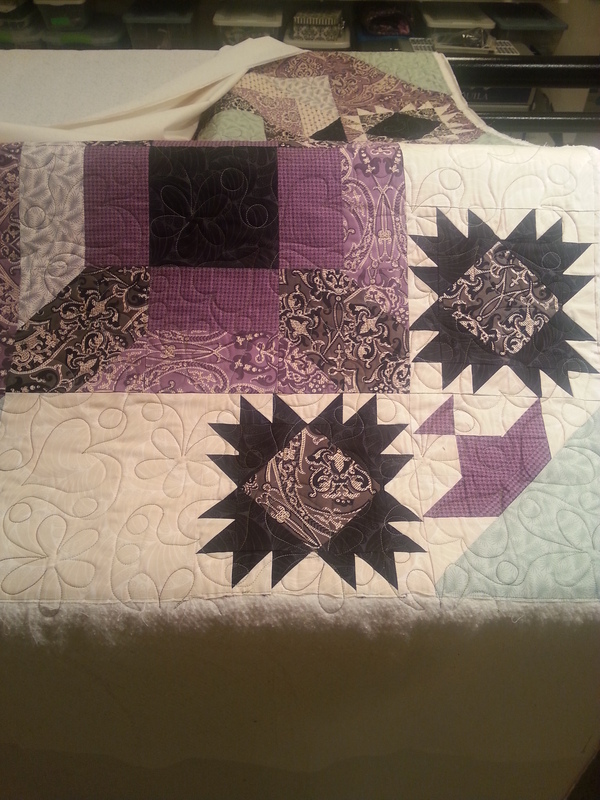 This first quilt is just a portion of the Downton Abbey quilt that I quilted for a friend, Kathy. This was a mystery quilt based on the TV show of the same name and used the selected line of fabrics. She’s a member of the Quilt Connection Guild of Greenwood, IN. She wanted an overall pattern so I selected a heart and flower panto pattern and used a green variegated thread. It turned out beautifully! She’s going to hang this in the guild quilt show this fall. 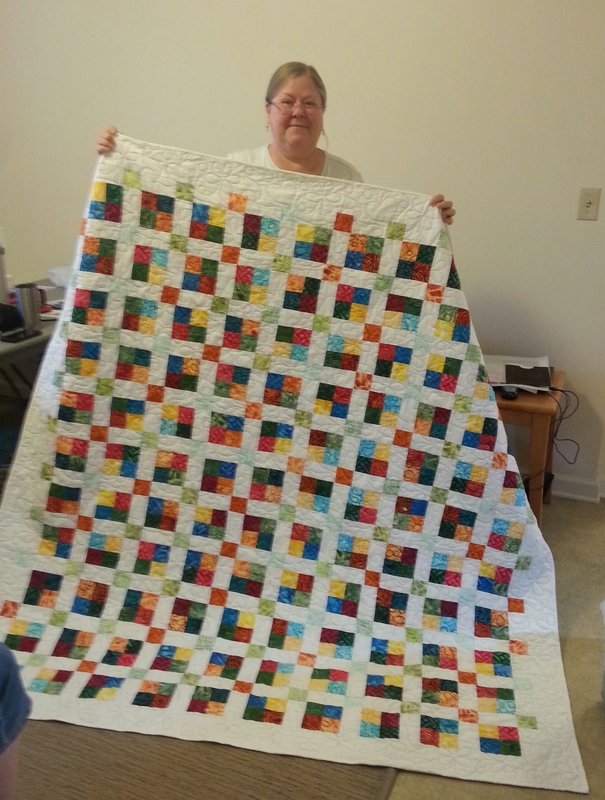 This next quilt is one I quilted for my sister, Janet. This was made from batik fabrics and is just stunning! Starting with a jelly roll of fabric and adding a bright white really makes these colors pop! She gave this to her long time friend – what a special gift that is.